It’s funny writing this post as by the time it will appear on the blog, I will be in New York. 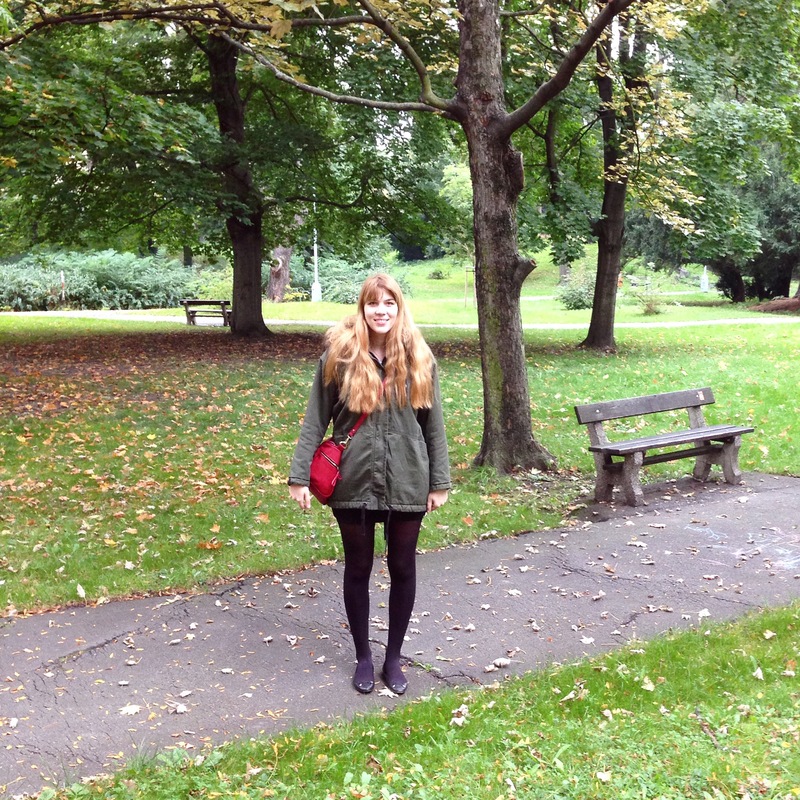 I don’t really know what to expect from NYC, but I love autumn in Prague. Especially early autumn when it’s not so bloody cold. This outfit is from Sunday, when M and I went to have lunch with my bestie and then we did a spot of shopping and then I had to stop by work to finish up some loose ends. 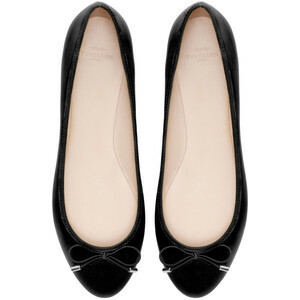 I was nearly running late so I had literally no time to really think about my outfit, let alone time to pick out shoes, so I just went with the simplest option – a pair of black ballet flats. These are from Zara TRF and I really like them. They have a little bow on the front and otherwise are really simple, meaning they are super versatile and go with everything. My entire outfit was really simple, as I said, there was no time. 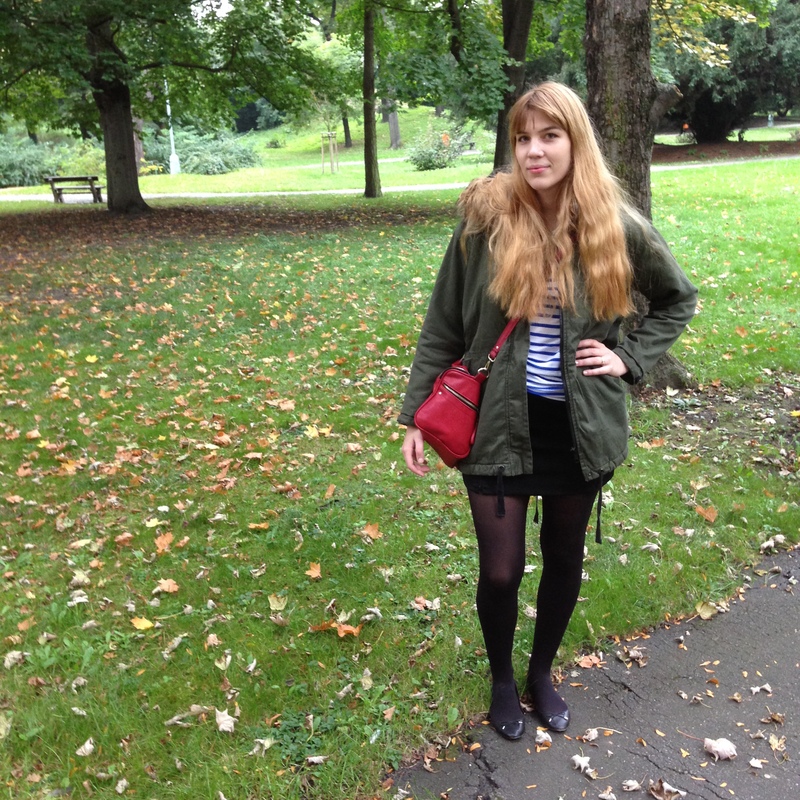 I wore my Topshop miniskirt, a Zara striped tee, my Zara bag and my Asos oversized parka. These photos were taken at the park near my work. I love this place, it is so relaxing. Speaking of parks, I can’t wait to see Central Park. I’ve seen it so many times in films or in photos so I’m super excited. I have to run off now, see you soon.